Wishes coming true is what the holidays are all about, and every wish list is sure to be complete when this gorgeous bouquet arrives in your recipients' homes. 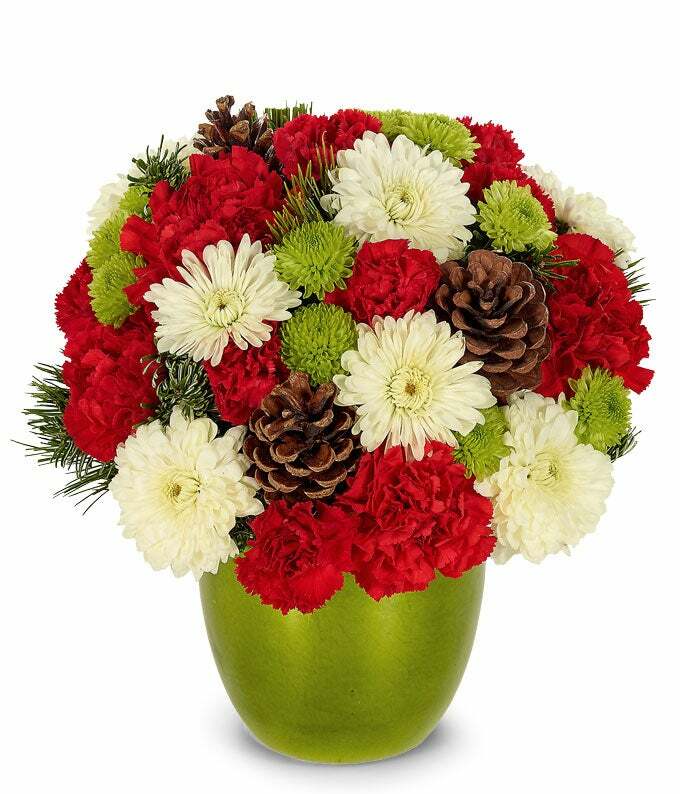 Carnations, button poms and cushion mums are crafted together beautifully with festive pine cones in a green foil cache container. Measures 10"H X 9"L.